The Mountain Equipment Women's Helium 400 is a high-quality and lightweight down sleeping bag that was designed to meet the needs of women. 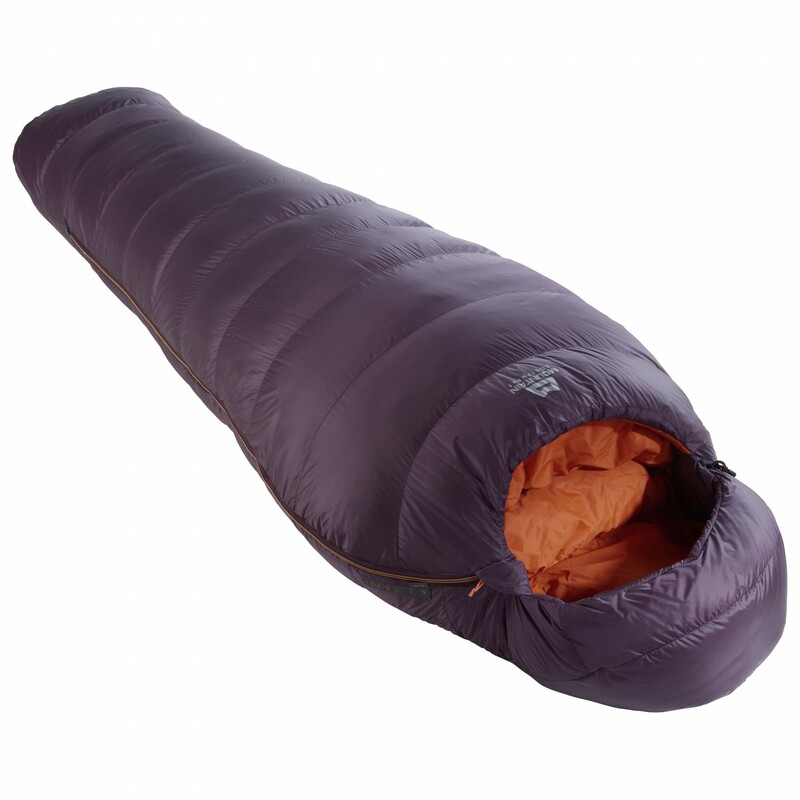 Thanks to its relatively light weight and small pack size, the sleeping bag should fit in any rucksack. The sleeping bag is also extremely versatile. It is particularly suited for trekking or cycling tours in the summertime. If the temperatures don't drop far below zero, the sleeping bag will be warm enough for cooler spring nights as well. 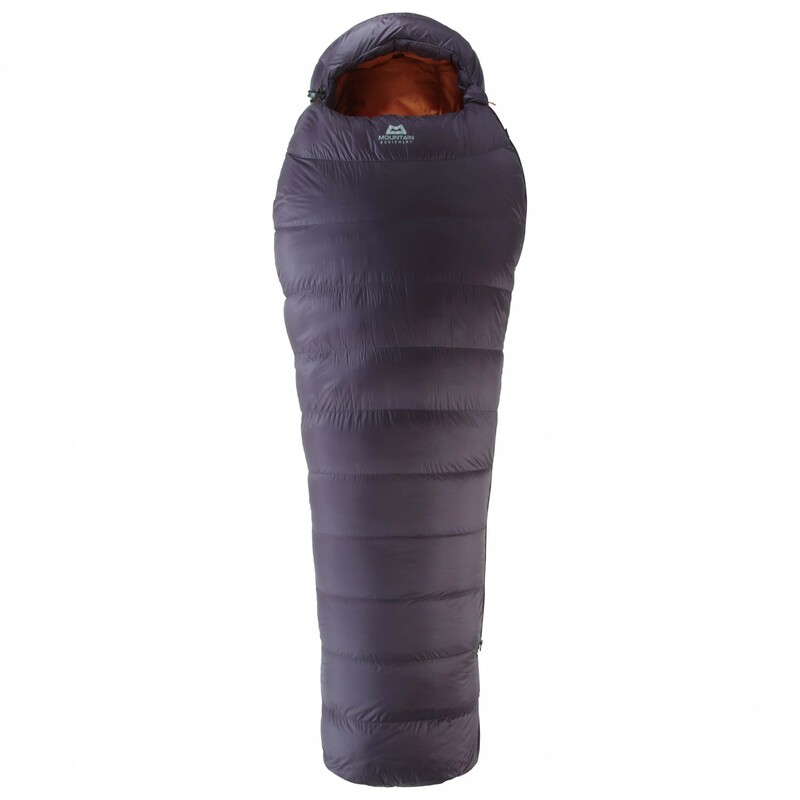 Thanks to the snug Alpine Fit, the sleeping bag is both lightweight and thermally efficient. Plus, it's so comfortable to sleep in. The footbox is particularly warm and comfortable as well. In addition, the sleeping bag is equipped with an integrated collar with a Lode Lock closure, which is easy to open and close and efficiently retains warmth. Of course, the sleeping bag is filled with high-quality duck down. The outer shell is made of very lightweight and compressible nylon, which also happens to be tear-resistant, breathable, windproof and downproof. The liner is also not only light and breathable but also robust and soft. Of course, the sleeping bag comes with a waterproof stuff sack to keep it dry as well as a cube for storing the bag between tours. With the Mountain Equipment Women's Helium 400 down sleeping bag, you'll be perfectly equipped for your next outdoor adventure!